Italian physician, physiologist and biologist who founded the science of microscopic anatomy of such organs as the lung, kidney, brain aand skin at the microscopic level. He extended William Harvey's work on the circulation of blood. 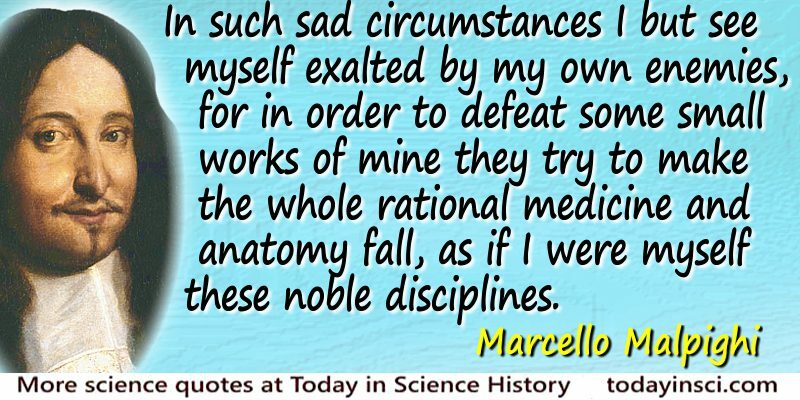 Science Quotes by Marcello Malpighi. 10 Mar - short biography, births, deaths and events on date of Malpighi's birth.